All around performance to carry just about any load. Sportsmen and farmers often need a four-wheel-drive vehicle capable of hauling gear to farms, fields and remote locations. 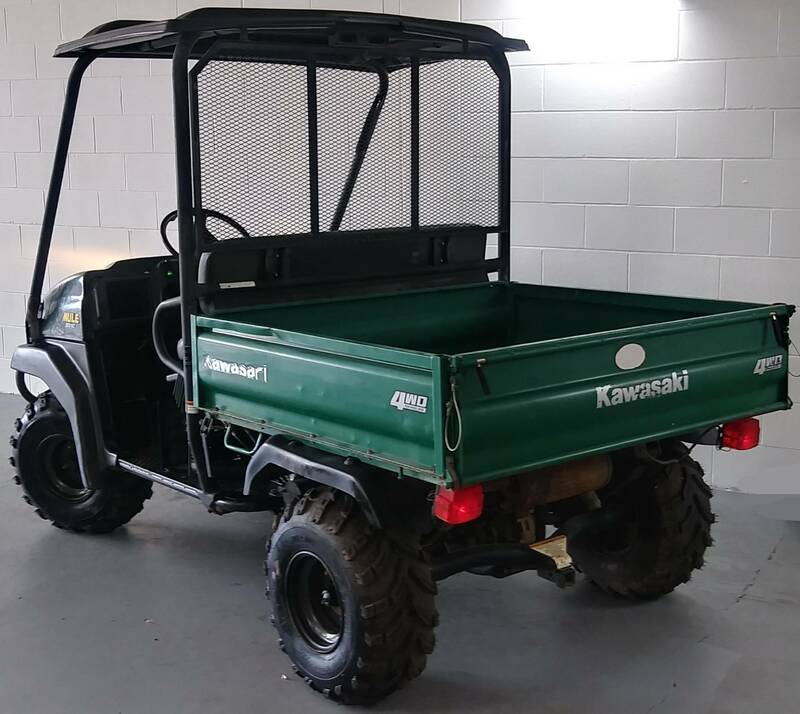 The Kawasaki Mule™ 3010 4x4 off-road utility vehicle is the industry standard with durability and dependability that can’t be matched. 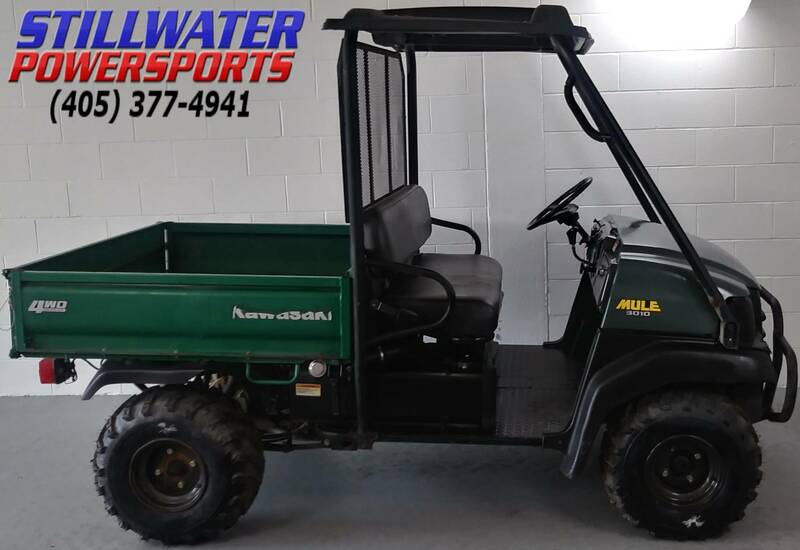 Larger than an all-terrain vehicle but smaller than a compact pickup truck, the Mule 3010 4x4 features a four-stroke industrial-grade engine, selectable four-wheel drive, an automatic transmission, bench seat and tilting cargo bed. 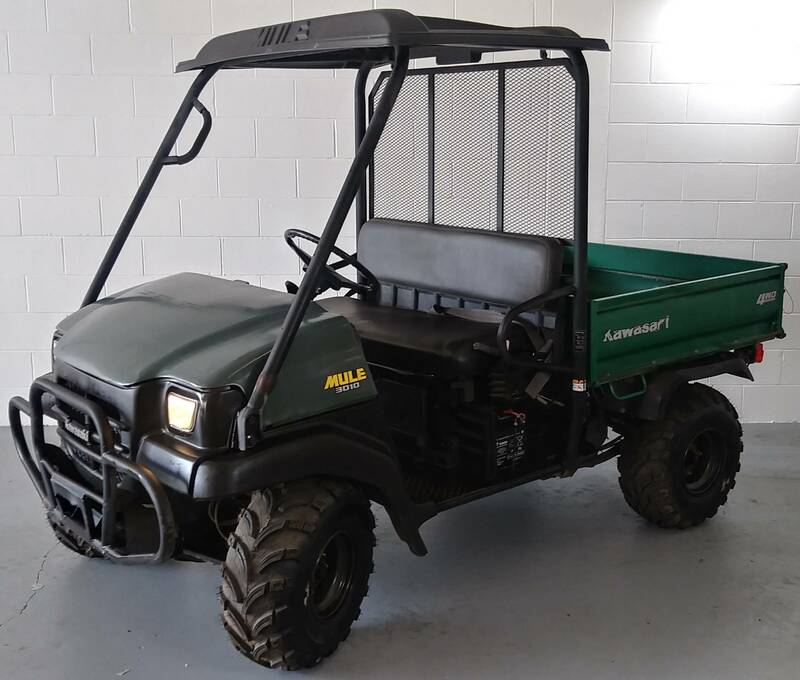 The Mule 3010 4x4 utility vehicle features aggressive styling, a rugged bumper, dual headlights and rounded fenders, and the body panels of the cab are made of durable, color-infused plastic to help hide scuffing. The front hood can be lifted with the touch of a button to reveal a large storage space, which also has convenient D-rings to secure cargo. Located beneath the front bumper are winch-ready tabs for easy winch mounting, and a passenger-side grab rail is mounted on the cab frame. 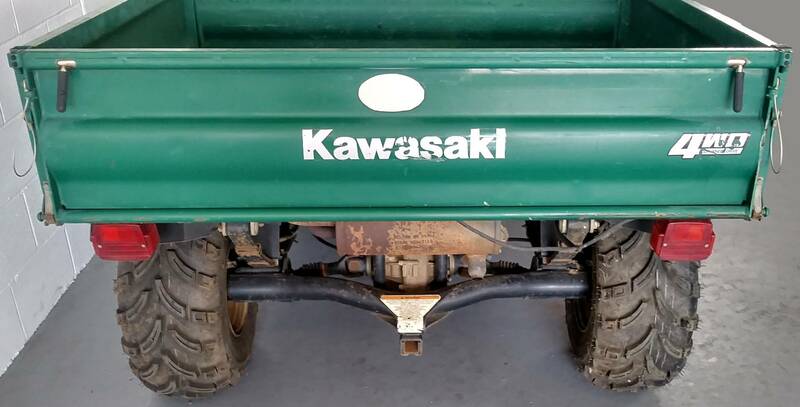 Plus, two lever latches make opening and closing the tailgate easy. A liquid-cooled, four-stroke V-twin engine provides power for the Mule 3010 4x4 and features an air restrictor gauge to indicate when the air filter needs to be cleaned or replaced. Plus, the fuse box and oil dipstick are located underneath the seat for easy access. The V-twin engine is matched to a continuously variable transmission (CVT) that features high and low range plus reverse. 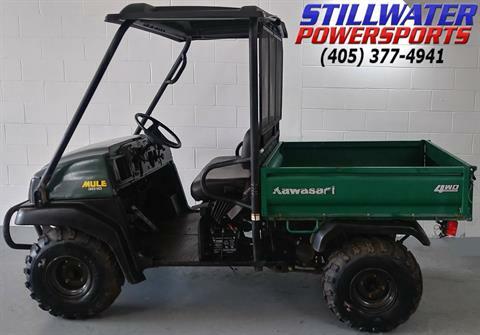 Combined with dependable, low-maintenance shaft drive, power is transmitted to a dual-mode rear differential that can be locked to maximize traction, or unlocked to minimize ground disturbance when making tight turns. The driver can also select four-wheel drive for extra pulling power in muddy conditions. Cargo Bed Dimensions (L x W x H): 46.3 x 51.6 x 11.3 / 15.6 cu. 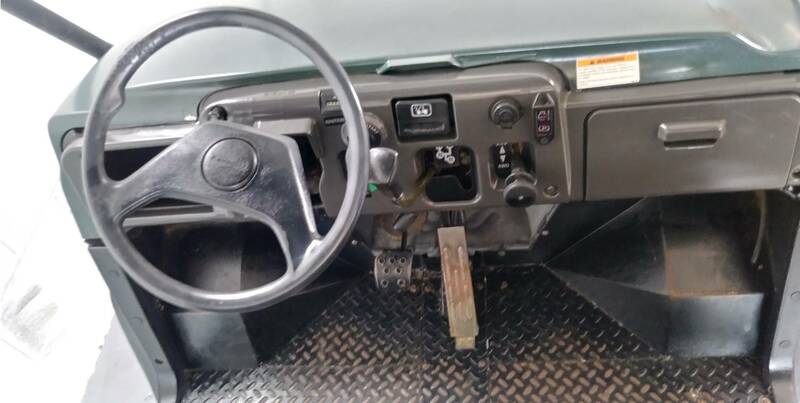 ft.
Controls on the Mule 3010 4x4 are easy to operate. The high/low-range, forward/reverse shift lever and the lever for selecting four-wheel drive operation are placed within easy reach on the dash. The coolant temperature warning light is easy to see, and a push-button control activates the headlights. Other standard features include an hour meter, fuel gauge and horn. The chassis of the Mule 3010 4x4 is a ladder-type frame that rides on a DeDion rear leaf-spring suspension designed to carry heavy loaDual Sport yet provide a smooth ride when the cargo bed is empty. 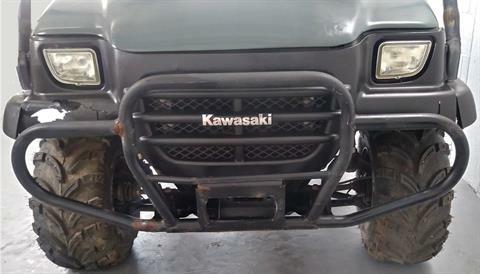 MacPherson struts handle front suspension duties, while rack-and-pinion steering is light and maneuverable over rough terrain. Four hydraulically operated, self-adjusting drum brakes that are sealed to protect from water, mud and other debris provide stopping power, and 23-inch tires provide a comfortable ride and maximum traction over a variety of surfaces. The Mule 3010 4x4 utility vehicle can carry 803 pounDual Sport in its steel cargo bed and can tow up to 1,200 pounDual Sport.